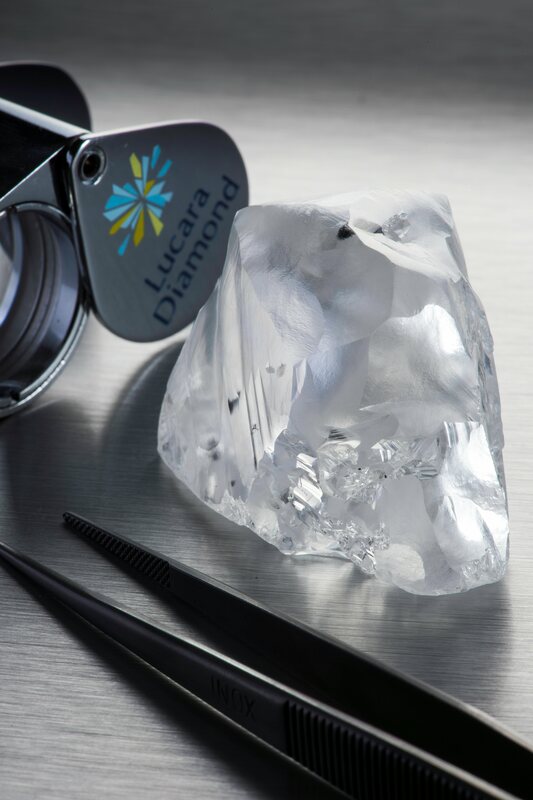 VANCOUVER, BRITISH COLUMBIA--(Marketwired - April 20, 2015) - Lucara Diamond Corp. (TSX:LUC)(BOTSWANA:LUC)(NASDAQ OMX Stockholm:LUC) ("Lucara" or the "Company") is pleased to announce that it has recovered a 341.9 carat gem quality diamond from its Karowe Mine in Botswana. The stone was recovered while processing fragmental kimberlite from the central and south lobe interface. William Lamb, President and Chief Executive Officer, commented, "The recovery of this magnificent stone once again confirms the quality of diamonds contained within the Karowe resource. Timing of the sale of these exceptional stones is still to be decided. "The surprise recovery of the 7.8 carat diamond from the very small quantity of material processed during commissioning of the XRT machines demonstrates the excellent recovery capability of this exciting technology. The final integration of the last sections into the process plant will provide improved mine planning flexibility and allow us to once again access material from all three lobes and more importantly provide the ability to mine sustainably from the high value south lobe in the future."